Great post. I'm having similar problems with same board. When I've got this LCD, two capacitors were missing. I think C203 and C204 ( two green ones lower-middle area on the first picture). 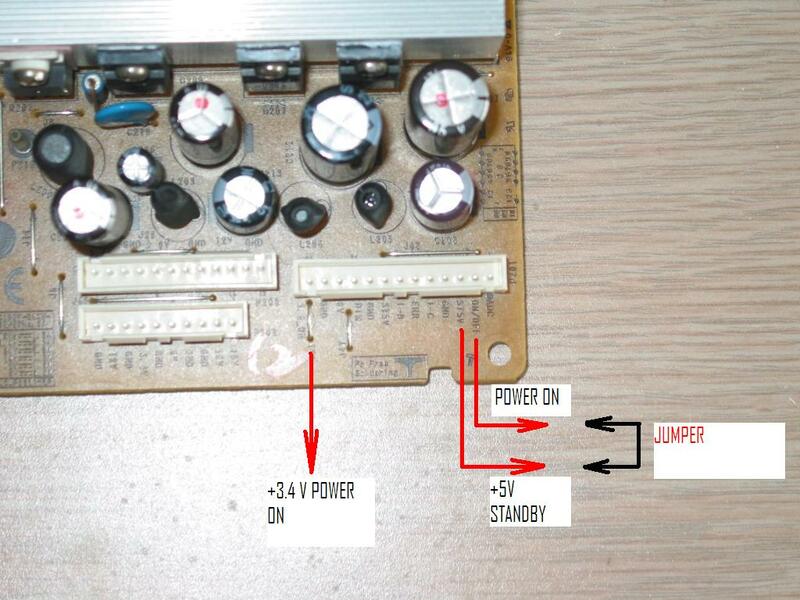 To put a TV on standby I've put there, what I have in stock of 35V capacitors (1x820uF 35V and 1000uF 35V). When I've turned ON a TV, backlight lights normal,but when OSD comes on panel, backlight dimms and inverter buzzes. Then TV turns OFF to standby. 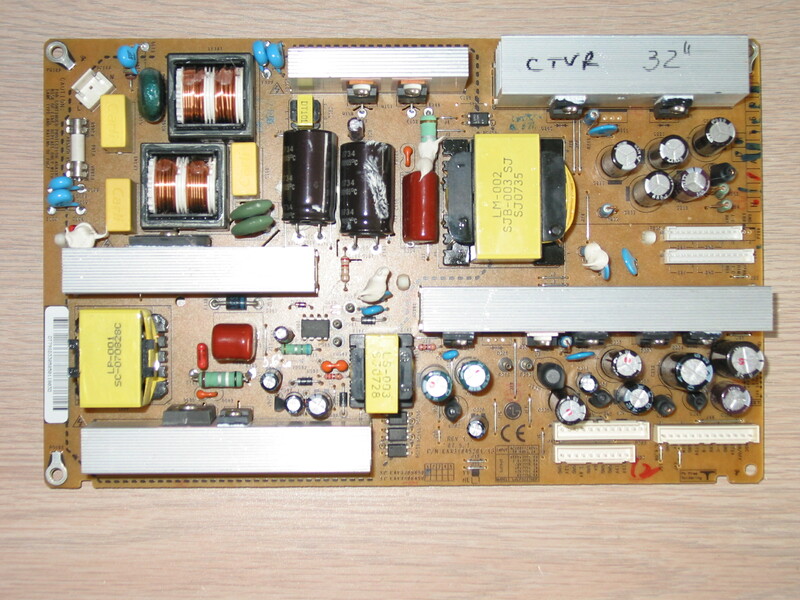 I've also noticed, that 5 capacitors C221, C222, C223, C232 were been replaced, but with funny specs ( 2x470uF 10V ???? 3x 1000uF 25V)and that area is litle darker (smoked). I'm pretty sure, that I have wrong capacitors on it, so I'm asking you to give me specs of those electrolytic capacitors. Please give me specs of C203,C204,C205,C221,C222,C223 and C232. Thank you. So I have a 32" LG 32LCD7D or I thought that's what I have but the PS board looks different.